Voting on the Lisbon Treaty has begun on the islands off Galway and Mayo. A total of 1,169 people are eligible to vote on the three Aran islands - Inis Mór, Inis Meáin and Inis Oírr - and on Inishboffin Island. More than half of the electorate of these islands live on Inishmore. In the Mayo Constituency, 197 people are eligible to vote on the three islands of Inishturk, Inishbiggle and Clare Island. Two-thirds of the electorate live on Clare Island. In Cork South West voting will take place tomorrow on seven islands with an overall electorate of 454. The greatest number of voters live on Bear Island, Clear Island and Sherkin Island. Finland's parliament has approved the EU Lisbon Treaty by a large majority. 151 of the 200 parliamentarians voted for the treaty while 27 opposed it and 21 were absent. The speaker of parliament cannot vote. Finnish President Tarja Halonen now has three months to give the text her final of approval. 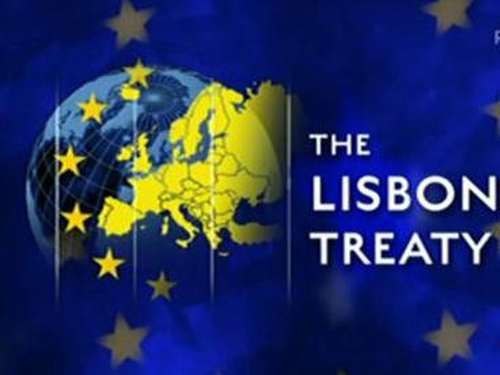 The Lisbon Treaty replaces the EU constitution that was rejected by French and Dutch voters in referendums in 2005. A Yes vote had been anticipated after a parliamentary committee comprising members of almost all the country's political parties recommended its adoption. Only the opposition Left Alliance, with 17 members of parliament, voiced opposition in the committee report, calling for a referendum to be held. All 27 EU nations must ratify the wide-ranging new treaty if it is to come into effect on 1 January 2009 as planned. So far 16 have completed, or all but completed, that process. Finland, which joined the EU in 1995, was the second Nordic country to ratify the treaty, after Denmark, which approved it in April.